Almost 50 years ago, on this very site, the Holy Spirit fell in power on a handful of Duquesne University students. Since that day, it is estimated that over 120 million Catholics in almost every country in the world have experienced baptism in the Holy Spirit. In 1967, this place was called The Ark and The Dove, and students like David Mangan, Patti Mansfield and others, experienced the love of God, poured into their hearts, which is the Holy Spirit. Rest assured, though, that this is not about merely purchasing a building. It starts with this building. But it’s about a grace. It’s about a move of the Holy Spirit. It’s about a unified Renewal bringing baptism to the whole Church. A lot has already been written about how the purchase came about. 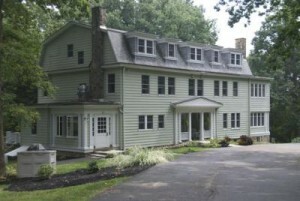 Briefly stated, in January of last year (2015), at the annual meeting of the National Service Committee, literally at the meeting, right before we were about to start, Tom Mangan received a phone call from the Sisters of Divine Providence that the property was going to be put up for sale. Trusting in Divine Providence, we notified the Sisters of Divine Providence that we were interested. At the time, we decided to simply TAKE THE NEXT STEP. One step at a time, trusting in Providence, that if the doors opened, we would walk through them, and if the doors closed, we would be content knowing we followed the Lord as best we knew how. The miracles, both major and minor, that happened over the course of the ensuing months, are too numerous to list here. Suffice it to say that on August 21 of last year, the sisters accepted our offer and on December 18 of last year, we signed the Act of Sale allowing us to reclaim this site as The Ark and The Dove. So here we are. What is our vision? Our vision is UNITY. Our hope is that this historic site can provide a vehicle by which various streams, cultures, expressions, and others espousing baptism in the Holy Spirit can unite and thus more effectively promote the New Evangelization. That The Ark and The Dove, the very birthplace of the Catholic Charismatic Renewal, can be a clarion call to the Renewal worldwide, that as we anticipate the Jubilee and the 50th anniversary of the Duquesne Weekend, we would truly come together as one to proclaim the love of God though His Son Jesus Christ in the POWER of the Holy Spirit. The Ark and The Dove can be that rallying point for the Renewal worldwide. Towards this end, we will create a diverse worldwide board. Adhering to Pope Francis’ admonition that the Renewal not forget its ecumenical background, knowing that Pope Francis’ invitation to the Renewal for Pentecost 2017 in Rome is to be an event for the entire church, not just the Catholic Church, the board will have an ecumenical dimension. Adhering to Pope Francis’ admonition that the Renewal provide a single service to the single current of grace, the board will solicit members from various streams and expressions. As a PILGRIMAGE DESTINATION. Anyone interested in coming here to pray is welcome. We have groups domestically and worldwide already contacting us for this reason. 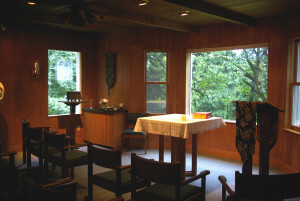 As a RETREAT CENTER. 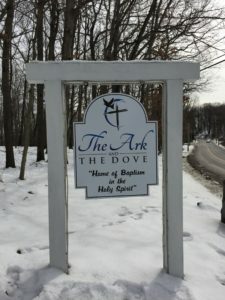 We plan on operating The Ark and The Dove as a retreat center for groups needing spiritual renewal. We have a growing list of local, national and global groups wanting to book their retreats. As a RESOURCE CENTER. We plan on building a library and a multi-media center documenting the history of the Renewal and providing resources for those wishing to learn more about the renewal. As an EVENT CENTER for Praise and Worship events such as this one, as well as training classes, schools of evangelization and days of renewal. This will be not only for annual celebrations of the Duquesne Weekend and Pentecost Sunday, but for young adults, local parishes, priest groups and many others. Today, on the eve of Pentecost 2016, our home of baptism in the Holy Spirit, we are officially open. This is YOUR HOME. Come by to pray and be refreshed, Come by to study and learn more about this grace we call baptism in the Holy Spirit. Come by read about our history. Come by and visit, NOT AS A GUEST, but as a member of the family coming home.